Psychology has a very vast definition of its own; the simplest form is “The art or science or observing, interpreting and commenting about mind and behaviour; covering aspects from acts of brains to acts of nations and child development to care of the aged is called Psychology. They work independently, do research or work only with patients or clients. Some work as part of or lead a healthcare team trying to help and treat illness and promote overall wellness. Psychologists in private practice work at their own set schedules from their own offices. What is Psychology or what is counselling psychology and what is it that people do with a degree in Psychology? SchoolandUniversity.com will help your search to find the top colleges and universities in America that offer online psychology degree programs, best psychology schools and colleges, more about types of psychology degrees and requirements. Read more about careers options in psychology. Identify and diagnose emotional, mental and behavioural disorders. Developing and executing treatment plans for the needy. Team up with social workers or physicians to help treat patients. Observe and conduct studies for behaviour and brain function. Collect and interpret information through surveys, interviews, tests and other methods. Seeking patterns to understand and define predicted behaviour. Spreading the knowledge gathered through experience; amongst individuals and groups to develop better understanding of problems. Addressing psychological issues in order to develop strategies and programs for betterment of schools, workplaces for a better living. Helping individuals, couples, and families to bring about desired and positive behavioural changes. Psychology is a very vast field; still we have made efforts to list down the top occupational specialities to help your search for top Psychological aspects. They diagnose and assess to treat mental, behavioural or emotional disorders. Short term personal issues to severe chronic conditions are been addressed by Clinical psychologists. They use variety of approaches to intervene and help individuals and groups. Health Psychologists study psychological factors which affect health and illness. Educating both; the patient and the treatment providers about the psychological issues to promote healthy-living approach. Investigating health issues such as Substance Abuse and Behavioural Disorder, substance abuse or teenage pregnancy and developing strategies to address the problems in future is also a crucial activity of Health Psychologists. Neuropsychologists are the ones who try to study and interpret the relation between the behaviour and the brain which commands such behaviour. They mainly work with severe chronic cases and cases where patient has sustained a brain injury. Clinical psychologists often work hand in hand with other medical personnel with regards to the best treatment for patients where medication also plays an important role. Louisiana and New Mexico are the two states that currently allow Clinical psychologists to recommend or prescribe medication to patients whereas in normal scenario only psychiatrists and medical practitioners prescribe medication for treatment. Read entire article on ranking of counselling psychology programs and much more at physicians and surgeons. Counselling psychologists are the professionals who advise individuals or a group of people on how to deal with their emotional or professional problems. They help people to understand their issues including home, workplace, or community. Counselling helps them to work with patients to recognize their strengths or resources that can be used to manage and resolve their problems. Bureau of Labour Statistics provides more information on mental health counsellors and marriage and family therapists, substance abuse and behavioural disorder counsellors, and social workers. Developmental psychologists are the professionals who are supposed to study the psychological development and progress that occurs throughout the lifecycle affecting the society and the world in turn; focusing mainly on children and youngsters. Development psychologists have gradually also started focusing on their study about aging and problems faced by the elderly. 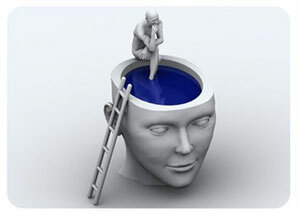 Forensic psychologists or individuals with career profile in forensic psychology are the ones who use psychological principles in the legal and criminal justice system to help judges, Magistrates, attorneys, and other law enforcement agencies to asses and analyze to understand the psychological observations of a particular case. They are very often called in the court as authority and skilled witnesses. They profoundly concentrate on family court, civil court, or criminal court matters. Industrial-organizational psychologists are the ones who are use psychological principles and research methods to the workplace to resolve problems and in turn improve the quality of work life. Issues including management or employee working styles, morale and workplace productivity are religiously addressed by these psychologists. They also work hand in hand with the management on matters involving organizational development through policy planning for employee screening or training. School psychologists address education related issues with the help of psychological principles and techniques. Student or education related activities such as students’ learning and behavioural problems, evaluating students’ performances and counselling students and families and consulting with other school/college based professionals to propose and advice improvements in teaching, learning, and administrative schemes are been managed by School psychologists. Social psychologists are the ones with an applied social psychology degree and as the name suggests the ones who study how people’s mentality and behaviour are formed by social interactions and issues. These professionals are responsible for examining both; individuals and group interactions and many a times have to investigate and suggest ways and means to improve negative interactions. * WIA - Work Force Investment Act...Programs covered under WIA. Psychologists can expect employment growth of 22 percent from 2010 to 2020. It is claimed to be fastest than the average for all occupations. Projected job prospects are the best for professionals with a doctoral degree in an applied specialty and also for the specialist’s degree in school psychology.